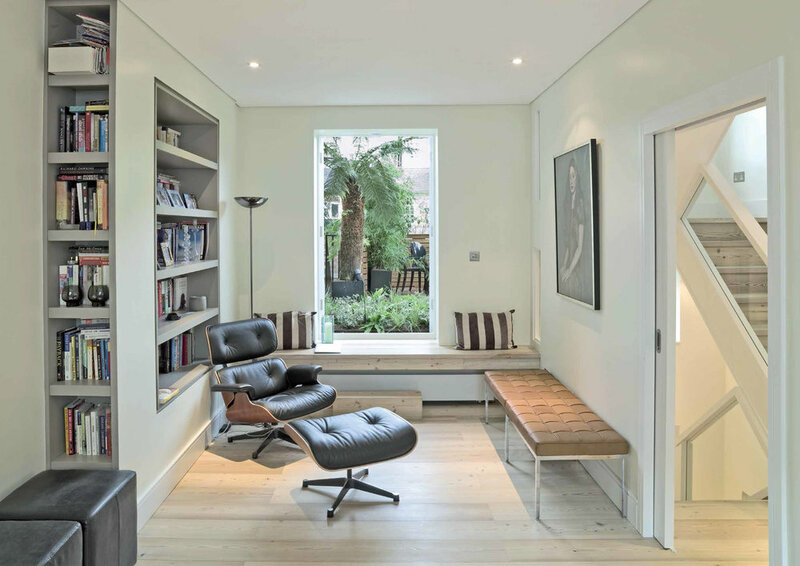 This terraced property which is located in the Notting Hill conservation area was designed for a young family. The remodelling of the interior space was based around views to the exterior of the house, as a consequence each room overlooks either a different area of the garden or the sky, giving a sense of tranquillity as well as an abundance of natural light. At the lower ground level of the building the footprint was extended laterally across two houses to create guest accommodation and a playroom leading directly onto the rear landscaped garden. Internally the house was modernised to suit the client's requirements by keeping all the finishes clean and simple.